Pops of color, many are scared to use a bright pink pillow or electric blue curtains in their home. 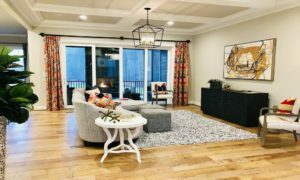 Once you see all the pops of color that were used throughout our new Model at Robinson Ridge, you will be running out the door to your closest Marshalls looking for those same pops to use as well. 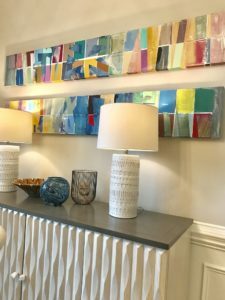 So here are 3 places that we say go for it when it comes to using pops of color throughout your home. 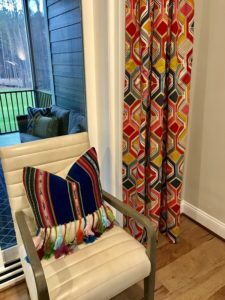 Have fun with your curtains! Throughout our Model, the one consistency in the window treatments is color! Our designer, Grace, was not afraid of the bold colors or patterns. That leads us into pillows. 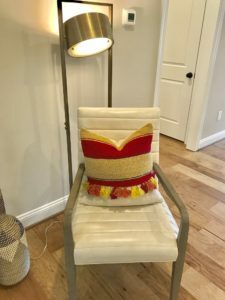 Accent pillows are one of the easiest and more cost effective ways to add color to any room in your home! 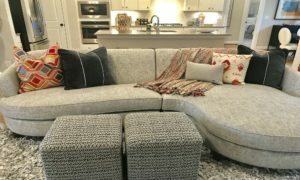 Take a solid colored grey couch, or cream chair, and add colorful throw pillows and instantly you have changed not only the look of that room, but the vibe of the home as well. 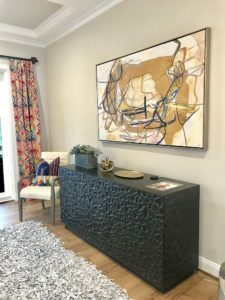 We are in love with all of the new, modern, and eclectic art that fills our Robinson Ridge Model. It’s fun and refreshing while giving our model a fun vibe. Here are some of our favorite pieces in the home. This non traditional piece is so fun, and it is one of the first things that you see when you walk thru the front door. 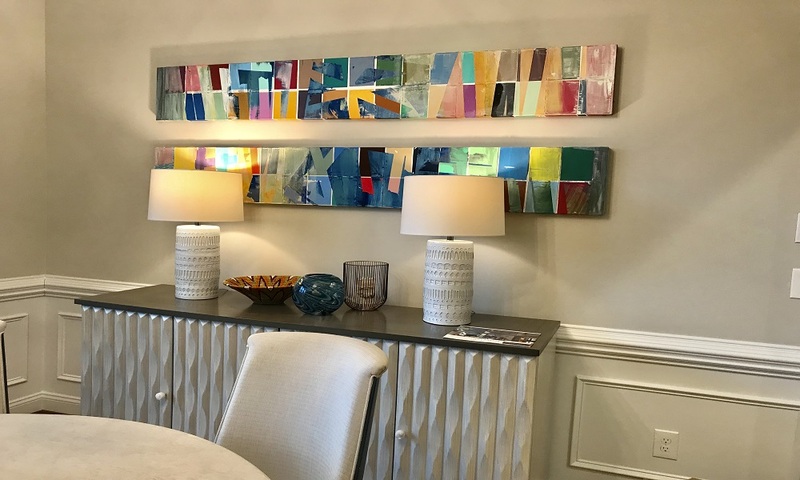 This piece is located in the Family Room. It centers the room while being the perfect conversation starter. Can you believe those are baskets? How creative is that! 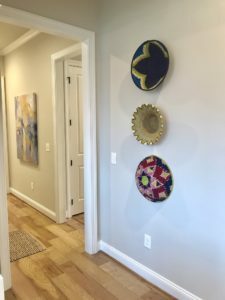 Hopefully this blog will help inspire you to step out of your comfort zone and add a pop of color to your new home!